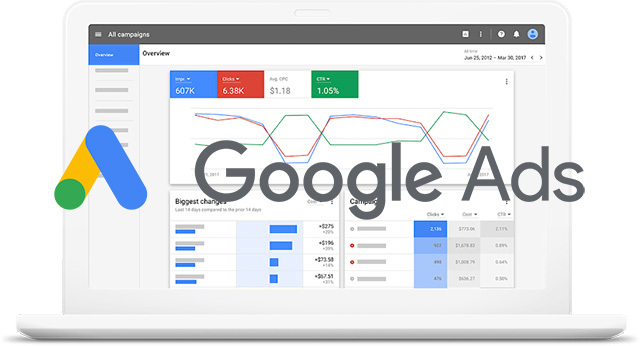 After over two years of testing, Google is going to be shutting down the old Google Ads interface and the new Google Ads interface will be the exclusive way to manage your Google Ads (formerly AdWords) campaigns. Google sent two dates to advertisers on the date of the switch over, both October 4, 2018 and October 18, 2018. 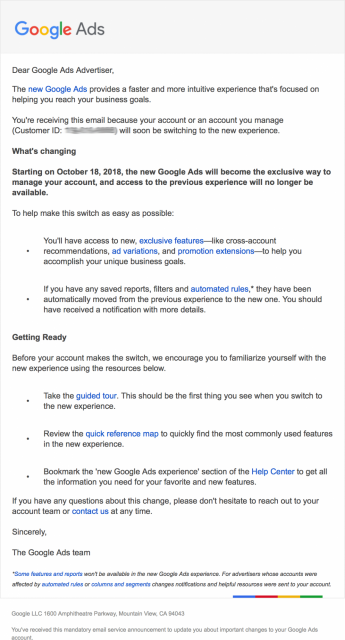 Google posted a message on Twitter with the October 4, 2018 date saying "Starting on October 4, 2018, the new Google Ads will become the exclusive way to manage your account, and access to the previous experience will no longer be available." But I received an email, as an advertiser, telling me the date is October 18, 2018. The email says "Starting on Oc﻿tober 18, 20﻿18, the new Google Ads will become the exclusive way to manage your account, and access to the previous experience will no longer be available." So which is it? October 4th or 18th?